This picture could also mean nothing. 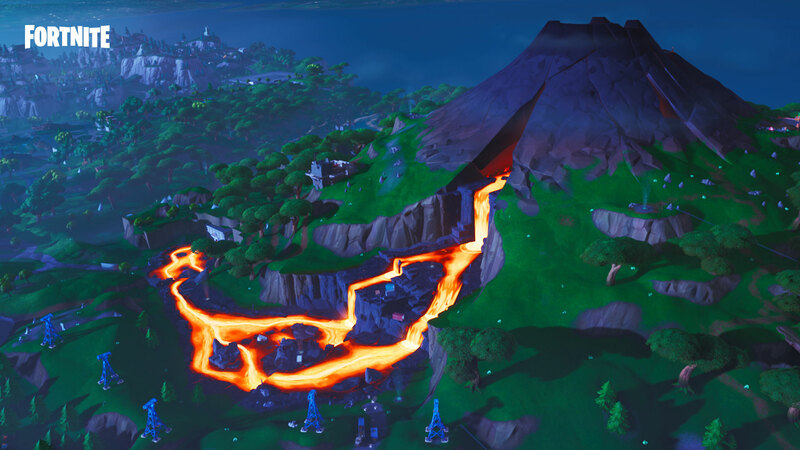 Another virtual natural disaster could be set to change the landscape of the Fortnite: Battle Royale island in the future. A Reddit user posted a screengrab earlier today of an in-game picture that shows massive flooding near the recently-added volcano. The Reddit user claims that they found this picture at the start of season eight—but it’s unclear exactly where the image is located or if it’s actually still in the game. Obviously, Epic Games hasn’t confirmed that a flood or any massive event is coming to Fortnite—but fans still love to speculate. One theory is that all of the ice and snow in the southwest corner of the map will somehow melt and cause flooding across the Fortnite island. Other fans believe this flooding could come from the surrounding ocean or Lazy Lagoon. Anything seems possible at this point when it comes to Epic and its crazy map-altering events. But, on the other hand, this picture could be a troll or mean absolutely nothing. Fortnite fans will have to remain patient and wait throughout season eight to see what Epic has up its sleeves.